MC Cullah is a rapper/singer/songwriter/producer from Milwaukee, Wisconsin. His music is lost somewhere in between Electronica and Hip Hop with a pinch of psychedelic melodies. With an arsenal of synthesizers and a library of forgotten sounds he manages to create something that sparks imagination and wonder. 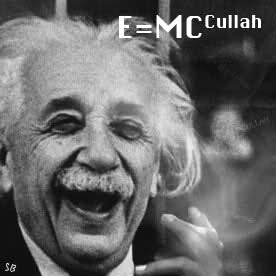 He brings to you free his album entitled E=MC Cullah. This album goes into the depths of time and space. "Born and raised to gaze into the beyond, MC Cullah stops time and sings his song."